Over the last few years, and several international versions being released, Pizza Hut will finally be releasing a “hot dog in a crust” pizza. The new pizza is officially called the “Hot Dog Bites Pizza” and will be available on June 18th. 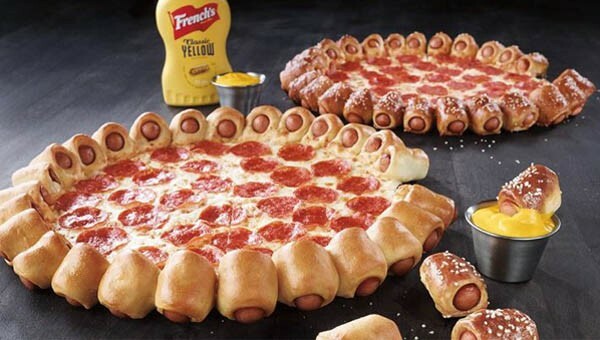 Pizza Hut has (thankfully) realized that straight hot dogs in the crust (laid out like a stuffed crust pizza) wouldn’t work, as hot dog meat is typically not a popular pizza topping for most Americans. 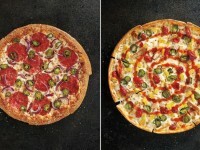 The version coming out has the hot dogs cut into small pieces and laid facing the pizza. 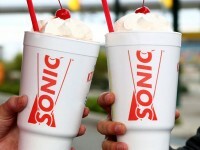 The hot dog bites can be pulled off and dipped in a variety of sauces while the pizza is enjoyed separately. 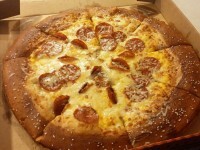 You can also get the crust in a variety of flavors that Pizza Hut offers, including the pretzel dog. We’re not really sure how hot dog bites and pizza go together, but we figure Pizza Hut has done some sort of market research, or something.